This Yu-Be Moisturizing Skin Cream was definitely used a lot during my travels. It fit perfectly in my 3-1-1 TSA liquids bag so I had it on the plane with me and it was perfect for a hand cream and for any extra dry patches that were on my face. Also, it was just perfect to carry around with me everywhere. It isn't greasy and it just did its job really well! Being the lip addict I am, I brought way to many lip products with me on this trip. However, I did find myself reaching for this Revlon ColorStay Moisture Lip Stain in the color Barcelona Nights over and over. It gave the prettiest pink/magenta/fuchsia color to the lips and was so comfortable to wear. Plus, it wore off nicely did leave a nice stain on my lips. It was perfect for dinner nights out and just when I wanted a more low maintenance item on my lips, but still wanting a pop of color! Of course, when you travel, you never know when you may come in contact with not so hygienic things (and in Asia, this is definitely true) so the perfect thing for this my Bath & Body Works Pocket Bac Hand Sanitizer in my most favorite scent, Market Peach! This product was so clutch especially after using public bathrooms or eating at street food centers. The smell is also frikken amazing and I had a lot of people mooching off of it, but I was more than willing to share haha. Plus, you don't really need a lot and it lasts for a really long time. 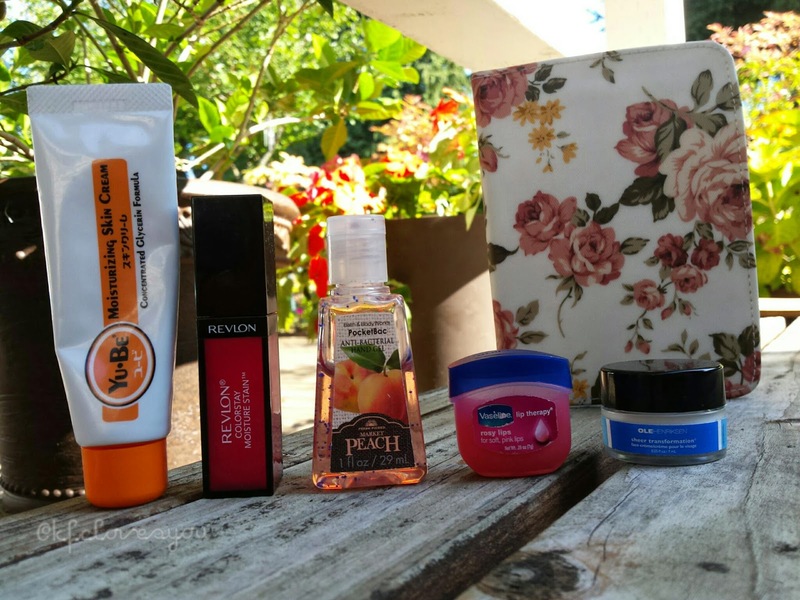 The Vaseline Lip Therapy Rosy Lips was probably my best friend during my travels. I tend to get really chapped lips easily, so this guy was with me everywhere, from the plane, to my pockets or my purse, just everywhere. #1) I love the scent of it since there is a slight rose fragrance to it and #2) It works like regular 'ol Vaseline does and did the job for my lips and #3) It is just the cutest thing ever and so small and it can fit basically anywhere! My last beauty favorite is this sample size of the Ole Henriksen Sheer Transformation which is a lightweight moisturizer. I got it at the end of August as an 100 pt perk from Sephora. I wanted a small travel friendly moisturizer I could take with me and use no the plane and this was wonderful. It helped keep my skin hydrated while I was on the plane and it also was great to keep in my purse on those days my skin would need extra moisture. The last favorite is a passport holder that is made in Taiwan and from a company that specializes in waterproof bags, wallets, purses, etc. I believe you can check out their stuff on their website and the brand is Uma Hana - Zakka. I absolutely loved this once I got it. I purchased it in Malaysia and quickly fell in love with the print and space inside. 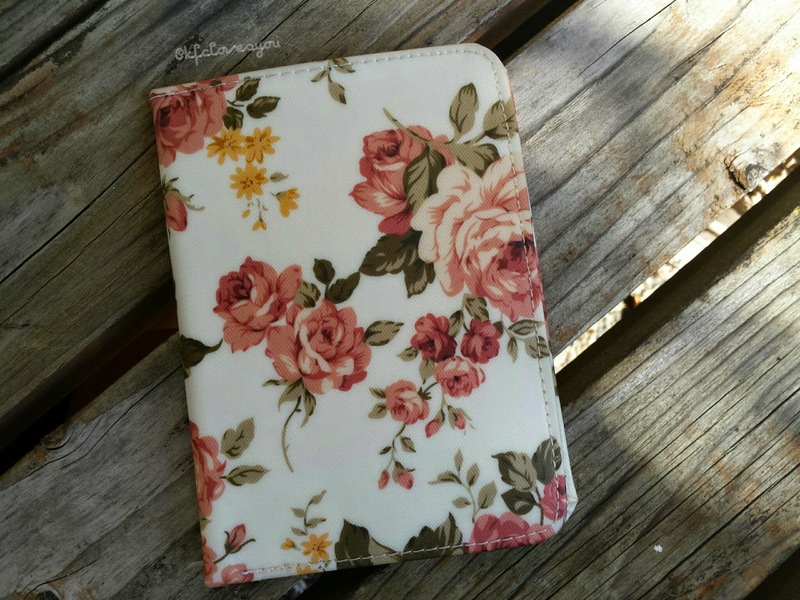 I tried looking for a passport holder here in the States, but nothing caught my eye, so I'm glad I have this one with me now! I found myself using most of these items after my travels just for every day use while I was back home. So whether it be for travel or every day.. These items were my go to items last month! Readers, what were your favorites during September? Did any of you guys travel? 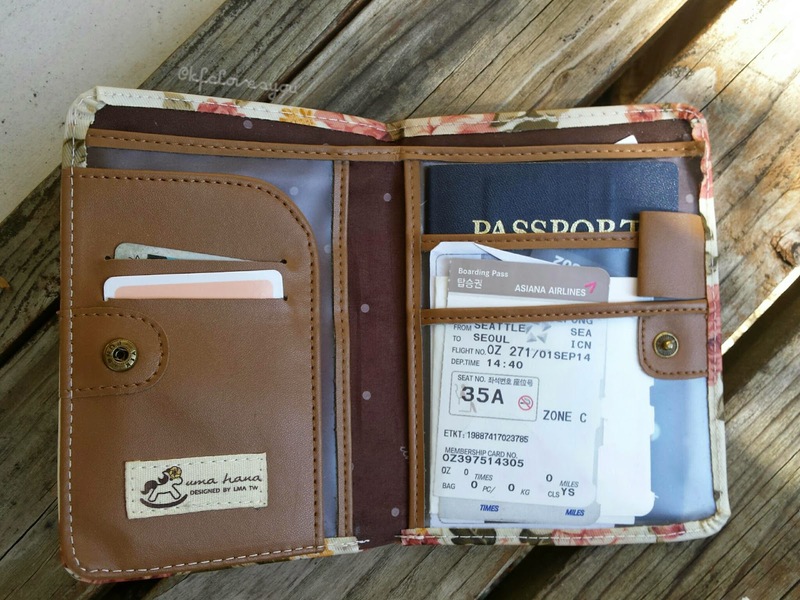 What were your favorite travel items? Let me know!